If you notice any of these symptoms, act quickly. Move your pet to a cool/shady spot immediately, and offer water to drink. Drape wet, cool (but not cold) towels over your pet’s neck, abdomen, and legs. Give us a call for further instructions. Just like with humans, pets can quickly become dehydrated in warm weather. 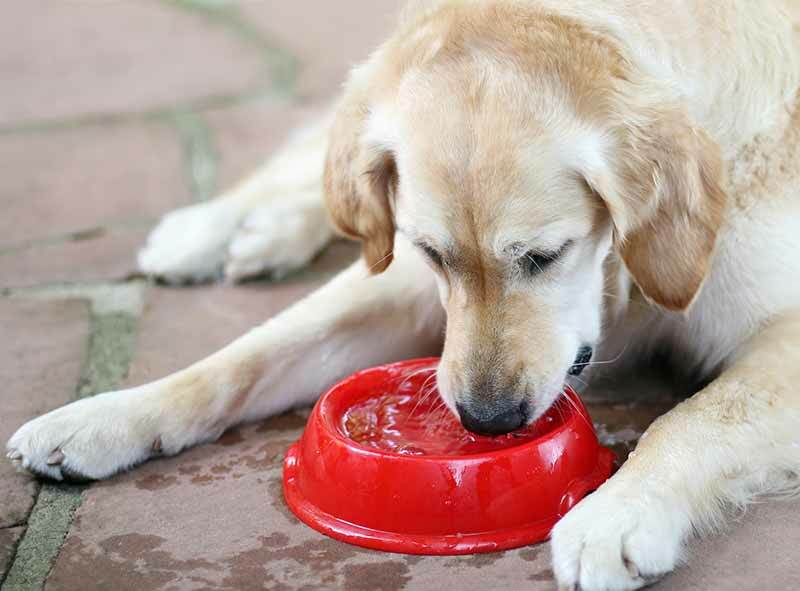 Besides making a pet feel unwell, dehydration can lead to more serious problems if not corrected. Making sure your pet has access to fresh water at all times, including during walks and other activities, is key to avoiding dehydration. Skin fold pyoderma is a bacterial infection found between folds of skin due to the increased heat and moisture content found there. Also known as “hot spots,” these infections are similar to the heat rashes experienced by some humans. They occur more frequently in dog breeds with naturally occurring skin folds and in overweight or obese pets. Skin fold pyoderma can typically be treated with topical and/or oral medication. Leaving pets in parked vehicles is the number one cause of heat-related deaths among pets. Never leave your pet in a parked car, even in the shade with the windows rolled down, as temperatures can reach deadly levels within minutes. While outside, make sure your pet has access to shade and cool, fresh water at all times. Move your pet indoors where there’s a fan or AC during the hottest part of the day. Limit walks and other outdoor exercise to the early morning or evening hours when the temperature is cooler. Brush your pet daily, and inspect the skin for hot spots, parasites, and other abnormalities. Bathe them regularly using a gentle, pet-safe shampoo and conditioner (talk with your veterinarian about how often you should bathe your pet). Although not technically a disease, paw pad injuries from walking on hot pavement or other surfaces are a serious risk to pets during the summertime. Keep your pet in shaded or grassy areas whenever possible; check paw pads for injury after each walk. For additional questions about pet heat diseases, please contact the team at Volunteer Veterinary Hospital. Stay cool! Next: Is a Healthy Cat a Happy Cat?